This was my first purchase from ZentaiZone and it is AMAZING. 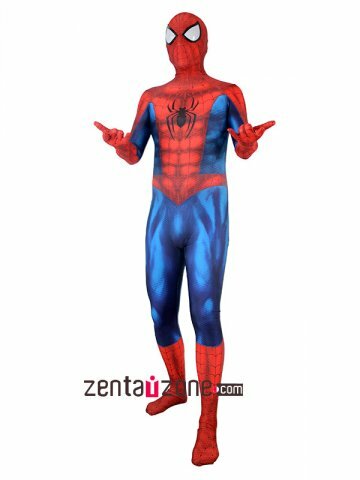 I got the costume with a detached mask with attached lenses, a u zipper, and the shoes. I also took advantage of the free custom tailoring service. The design is great. 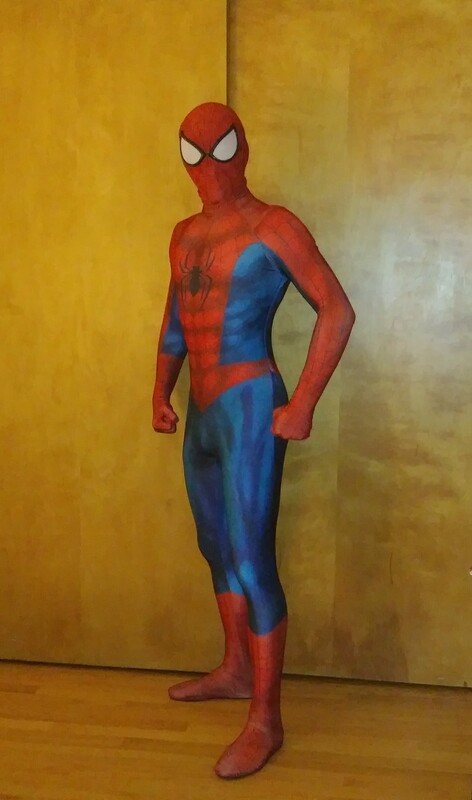 The colors pop and the webbing is strong all throughout. The spider emblem is lower on the torso than many designs, but looks great. The custom tailoring service did a great job with my measurements, the suit fits great and is extremely comfortable. The elastic around the neck has gotten slightly stretched out with use but nothing too dramatic. The detached mask is fantastic also. The eyes are placed perfectly on the mask and provide great visibility. 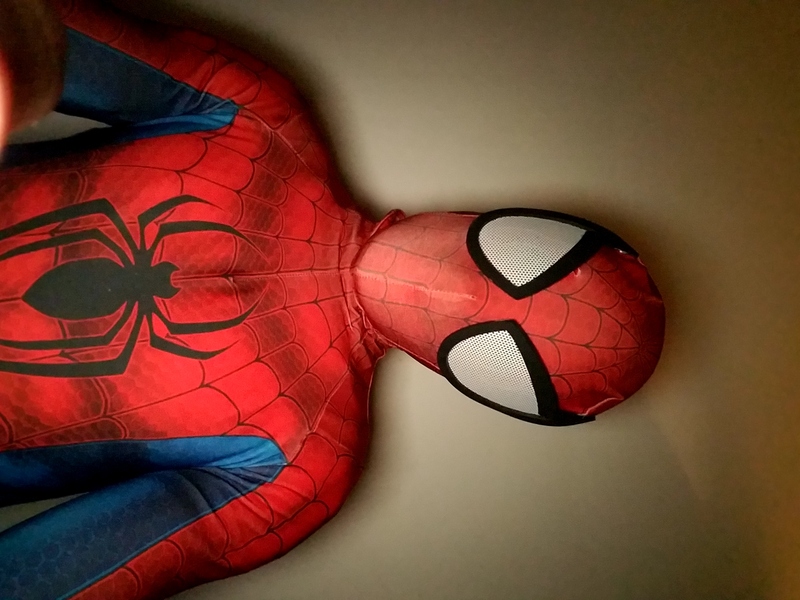 I do not have a face shell, so the mask conforms to my face and head shape, for me, it looks good, but if your concerned about your head not having that accurate spidey look, consider a face shell. The detached mask also makes for a slightly less sleek look in the neck area. The U-zipper is a little tough to zip up on your own, but makes the back of the costume look great. 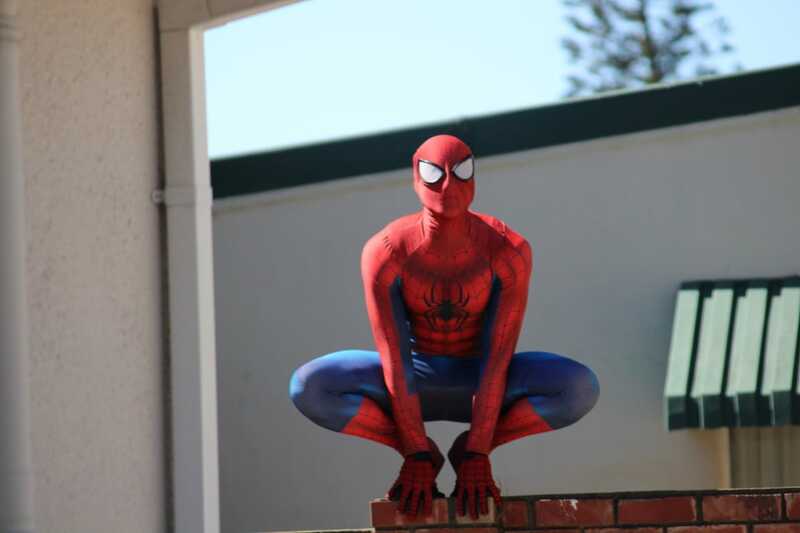 The shoes are almost essential if you plan on walking around in the costume for extended periods of time, they are comfortable and look great. All and all, I couldn't be happier with my purchase. Highly recommend!